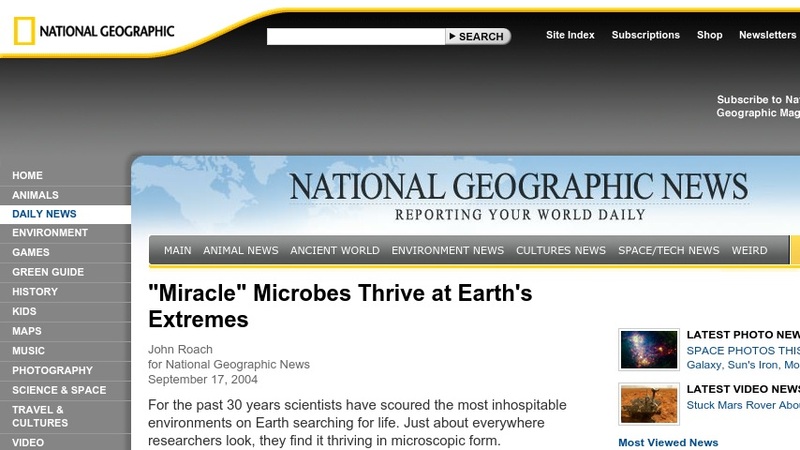 This news article introduces extremophiles, microbes found thriving in the most inhospitable environments on Earth. It reviews the differences between extremophiles and mesophiles, and how archaea differ from bacteria. The article also touches on how this field has led to a variety of biotechnical innovations. The site contains links to related stories and web sites.